As a musician, you probably already use social media to promote your songs, invite people to your gigs, and grab the attention of new fans. But, are you satisfied with your performance on social media? Does it help you sell more tickets to your concerts or gain more fans? Does it help you build the relationship with people from the music industry? If not, then it’s time to change the strategy and drive more engagement to your social networks which will help you grow your career and build a strong relationship with more fans. Here are seven actionable tips that you can apply right away. This tactic for boosting social media engagement is so simple, and probably that’s the reason why it’s often overlooked. – What song are you listening now? I need some inspiration. Also, you can create a poll and ask your followers what song they would like to hear at your concert, for instance. However, try to sound natural as if you were chatting with your old friends because otherwise, people will sniff out artificiality, or that you’re pretending to care. Don’t be shy to share the good and exciting news with your fans. After all, self-promotion is the main reason musicians use social media. So, make sure you share the dates of your next tours and concerts or updates on your new song or album. Likewise, you can create posts with posters of your tour or cover of your album. Your fans will appreciate keeping them in the loop and keep coming back for more news. Not only will this strategy increase your engagement on social networks, but it will also drive worth of mouth, which is the best promotion. 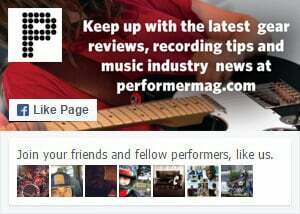 Share photos from your fans from concerts or covers of your songs on your Facebook page. That way, you’ll show appreciation to your fans. You’ll also further encourage your followers to create content around your act, and share their photos and videos from gigs or anything else related to your music. It’s surprising how few musicians use pinned posts when it’s an excellent tool for driving engagement. Depending on your goal, choose a post you’d like to pin. For instance, if you’re looking for a new manager pin a video from your concert or if you think that one of your posts went unnoticed, pin it and increase its exposure. Also, announcements of your gigs or upcoming albums are perfect for pinned posts so they remain at the top of your feed. In other words, pin news that is important to you so that anybody who visits your page for the first time (or even repeat visitors) has a chance to see it. Your fans love behinds-the-scenes posts! That way, they can have a sneak peek at your life and current events. Also, it’s a great way to show your personality and for fans to get to know the real you. Simply take a photo when you’re working on a new song in the studio or record the preparations for your gig. This type of post will not only save you when you don’t have anything ready to publish, but it will boost your social media engagement as well. People are usually more familiar with YouTube than any other music-specific platform. That’s why you should be present on the platform, even if you don’t have a slick music video. That said, make sure you upload all your videos and organize playlists. Likewise, don’t forget to write a description for each video and add links and tags. No video? No problem; upload a slideshow set to your track or create a lyric video that doesn’t require any filmed footage. Your music needs to be searchable on YouTube, so make it happen any way you can. This is a great avenue for cross promotion and driving engagement to a specific channel. In the end, choose the strategy that suits best your personality and brand. Whether you opt for sharing some behind-the-scenes posts or the content of your fans, or you go for interacting with your followers and keeping them in the loop with a pinned post, you’ll most certainly notice a drastic increase in your social media engagement. Also, make sure you optimize your YouTube page and share your events with the world for a complete success. People already love your music, they’ll be looking forward to getting to know you better and communicate with you on social networks. Serena Dorf is an enthusiastic content writer. She is passionate about writing, personal development, psychology, and productivity. In her free time, she is reading classic American literature and learning Swedish. Feel free to connect with her on Twitter @DorfSerena.